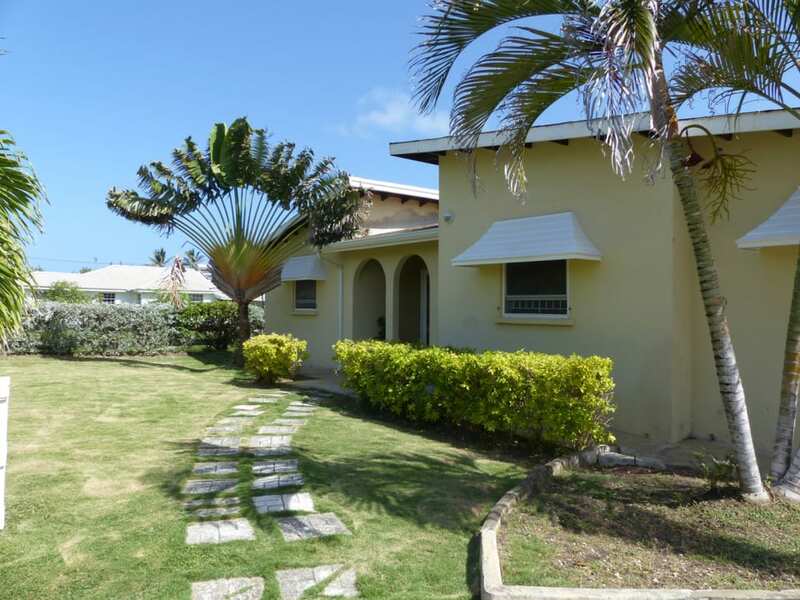 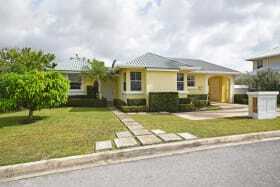 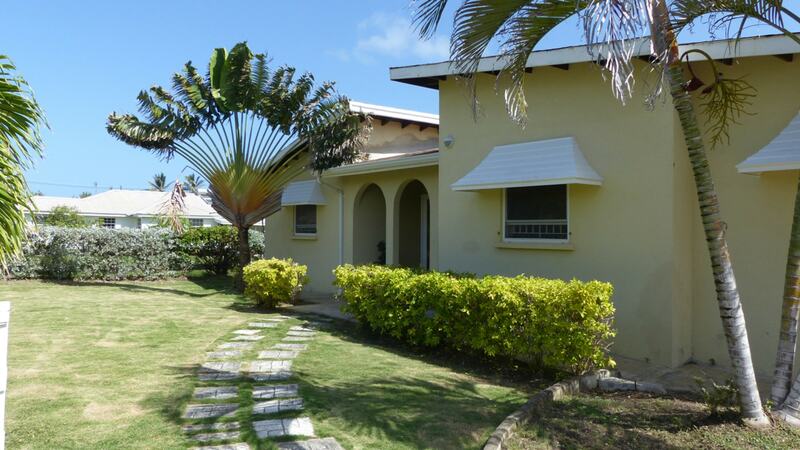 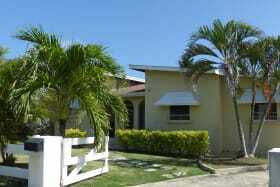 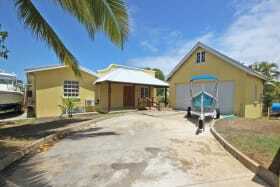 A lovely three bedroom two bathroom home located in the desirable and alluring Long Bay development. 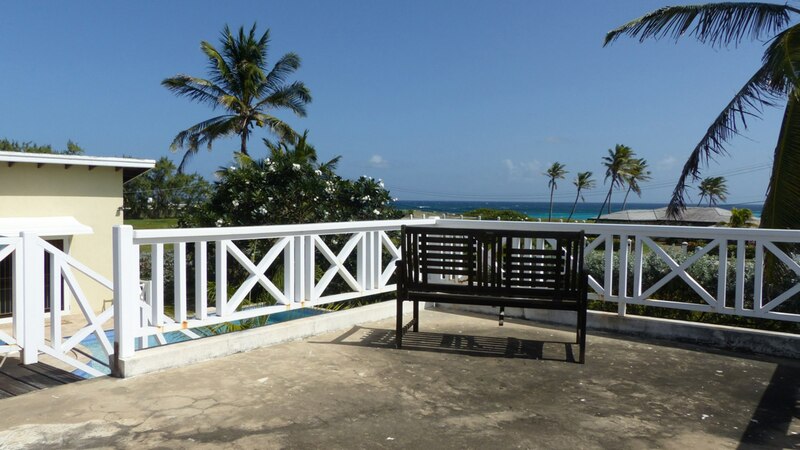 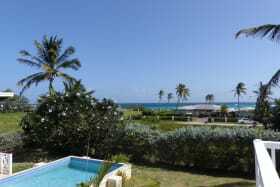 Long Bay is located on the south eastern coast of the island and close to the well known Sam Lord's Castle and the luxury Crane Resort. 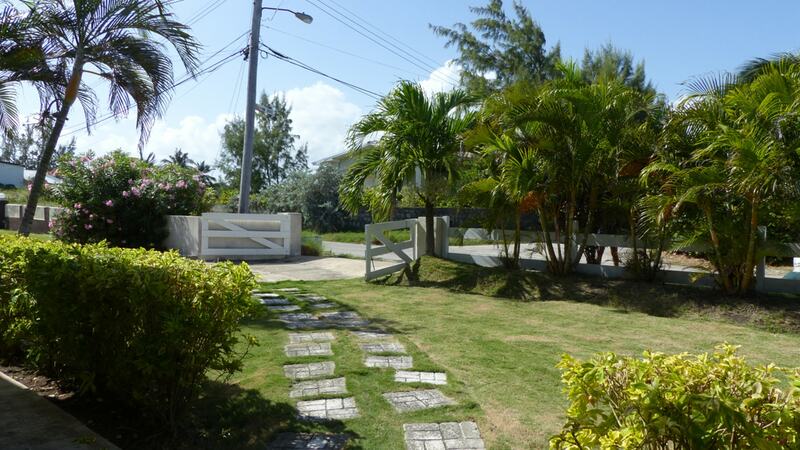 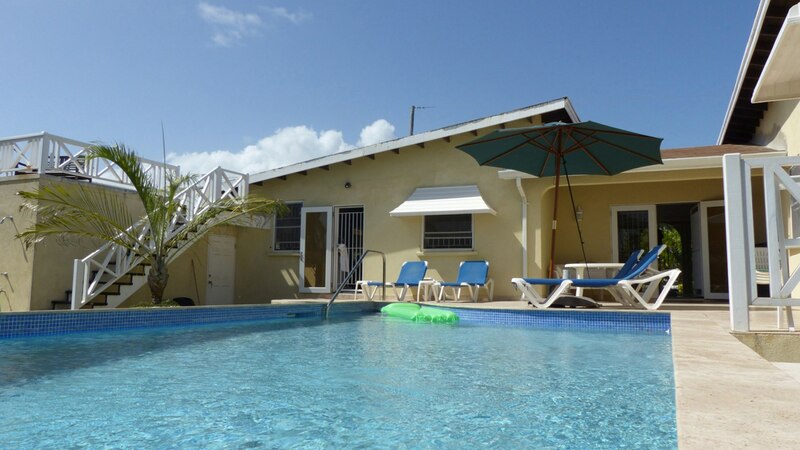 The home is just 200 yards from the ocean and there is a delightful little bay called Sharks Hole to enjoy. 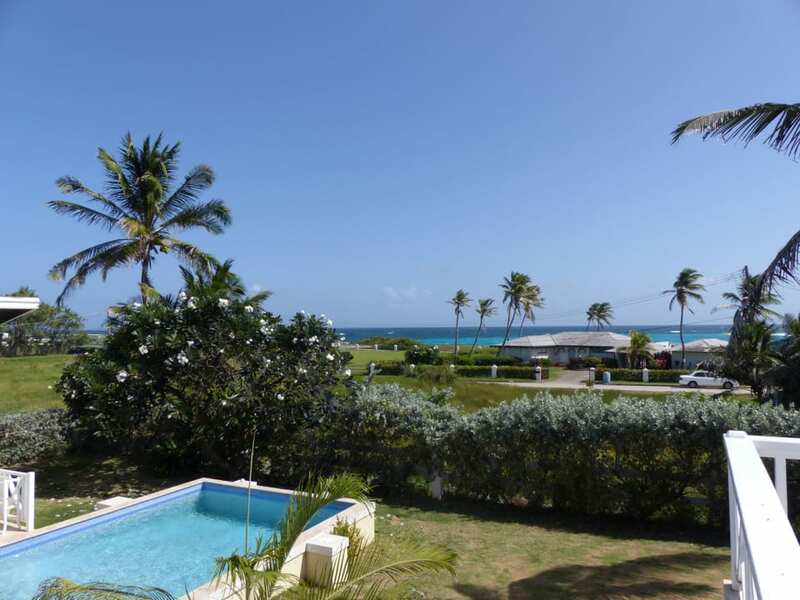 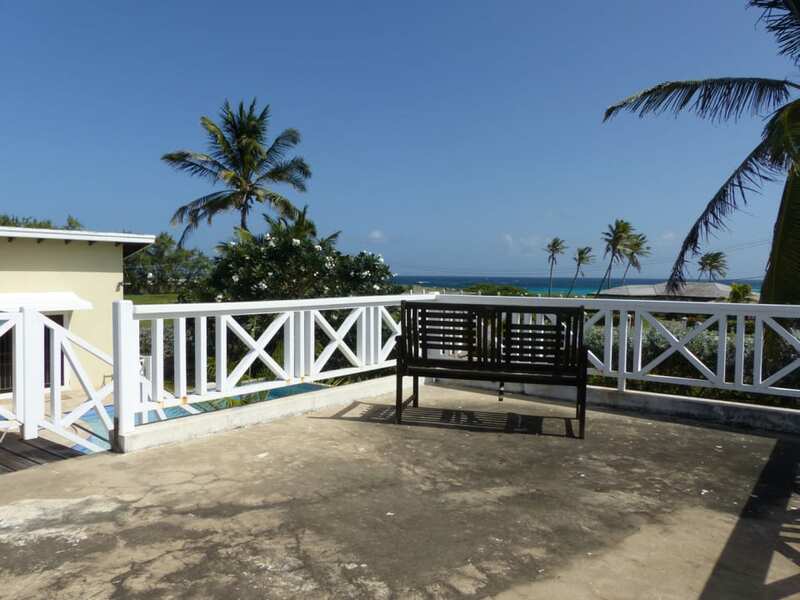 At low tide this offers a natural ocean swimming pool with a quaint beach. 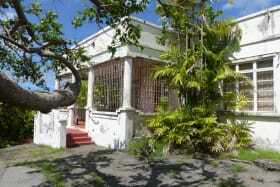 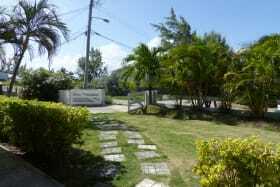 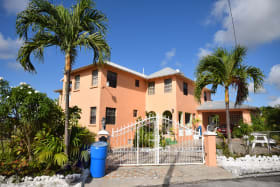 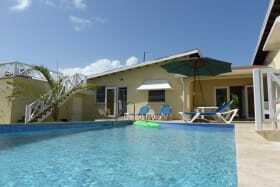 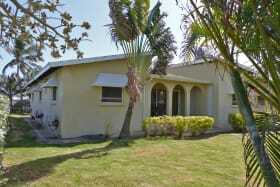 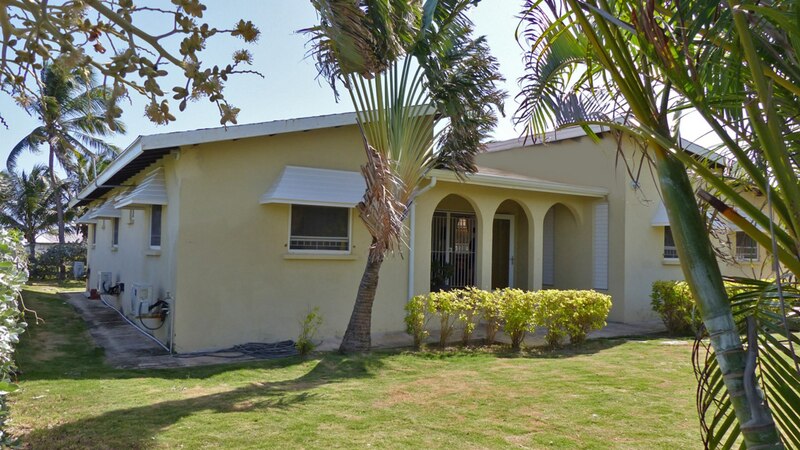 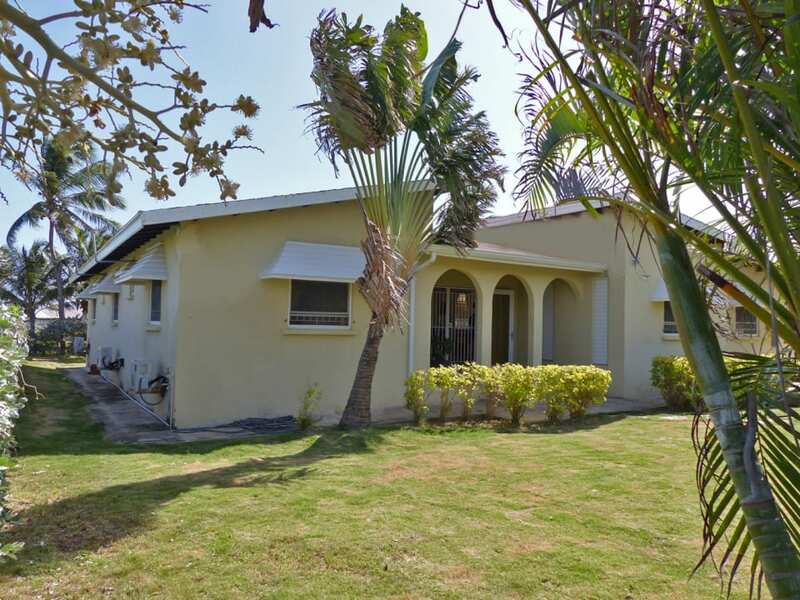 The property is completely enclosed and has a small garden and palms scattered around it's perimeter. 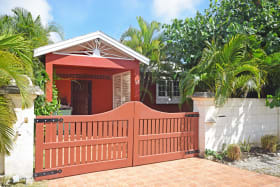 The driveway can easily facilitate two cars and this leads to an enclosed garage. 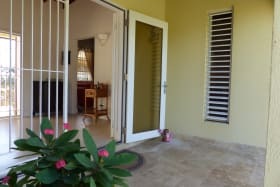 The entry to the home offers a small patio and enters into the foyer which opens directly on to the large deck and swimming pool. 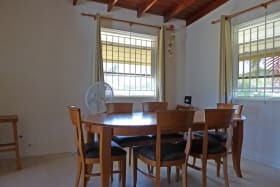 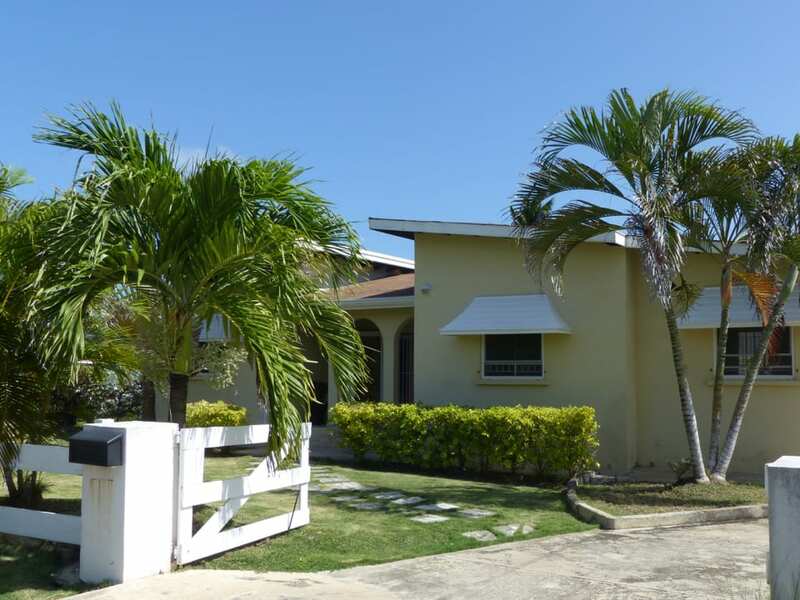 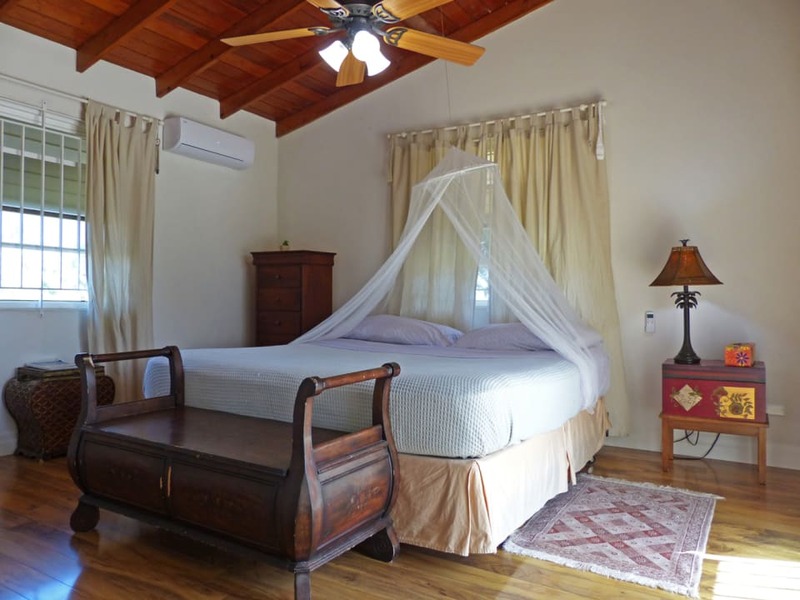 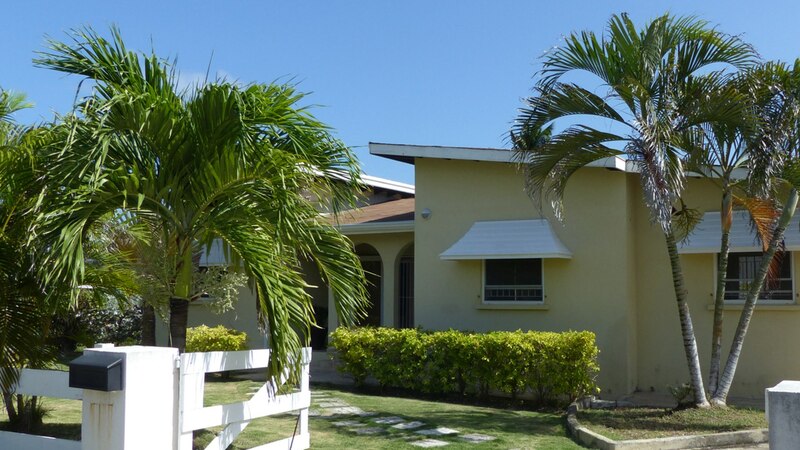 Adjacent are the bedrooms on the windward side of the property and the living, dining and kitchen are located on the opposite side of the property. 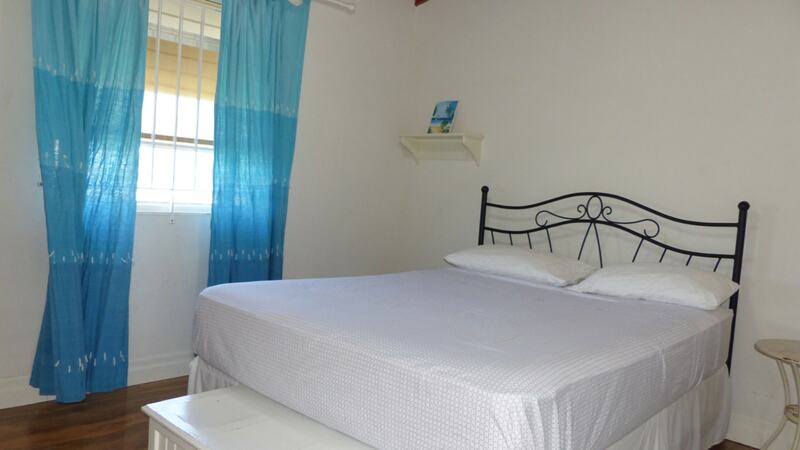 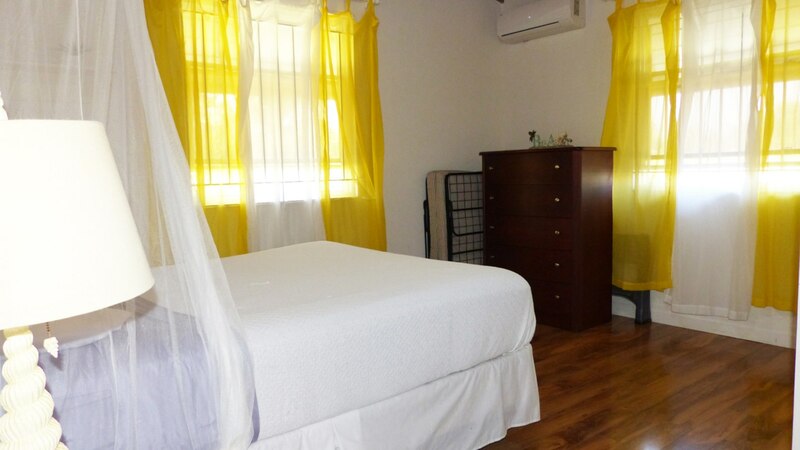 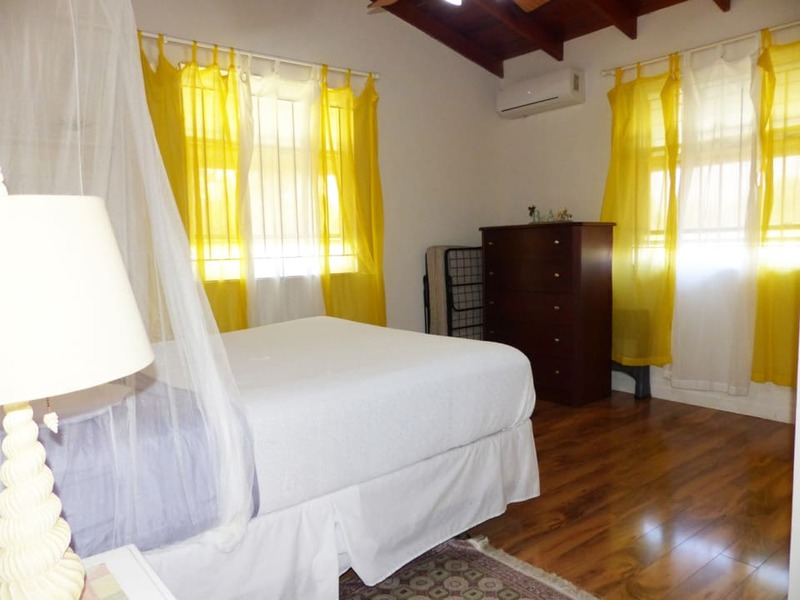 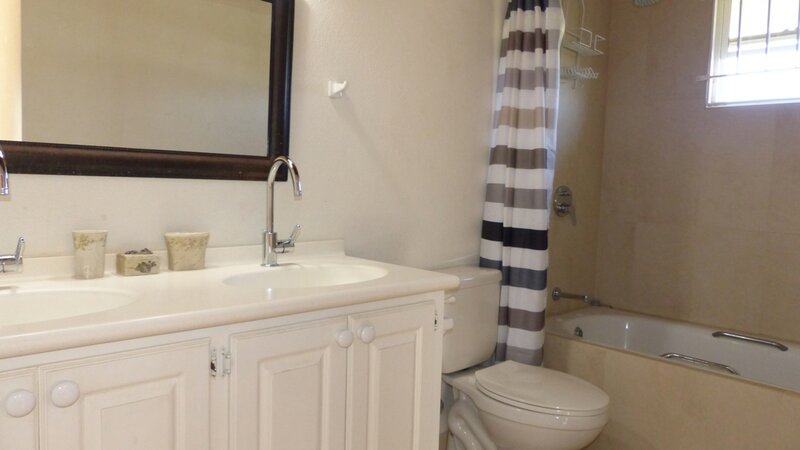 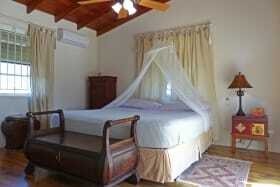 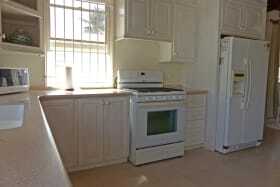 The three bedrooms are large and have ceiling fans and A/C units. 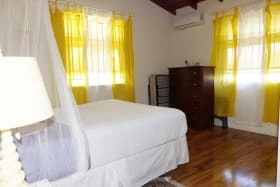 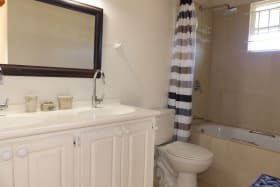 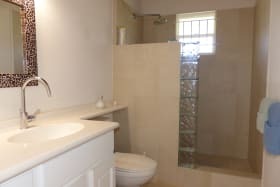 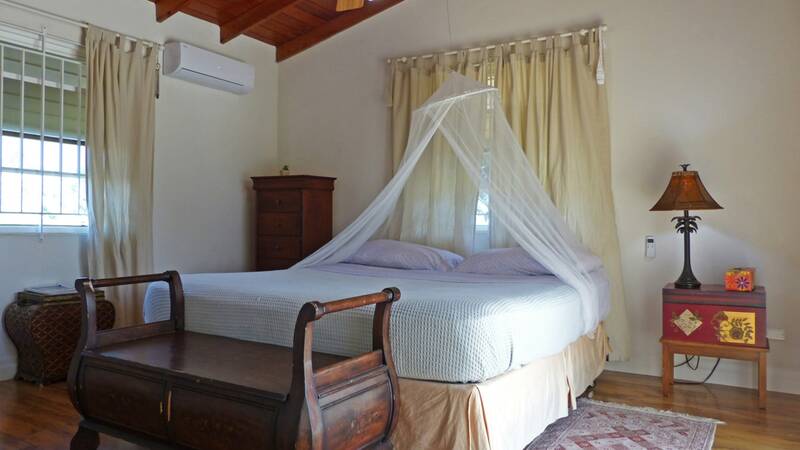 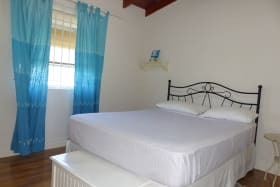 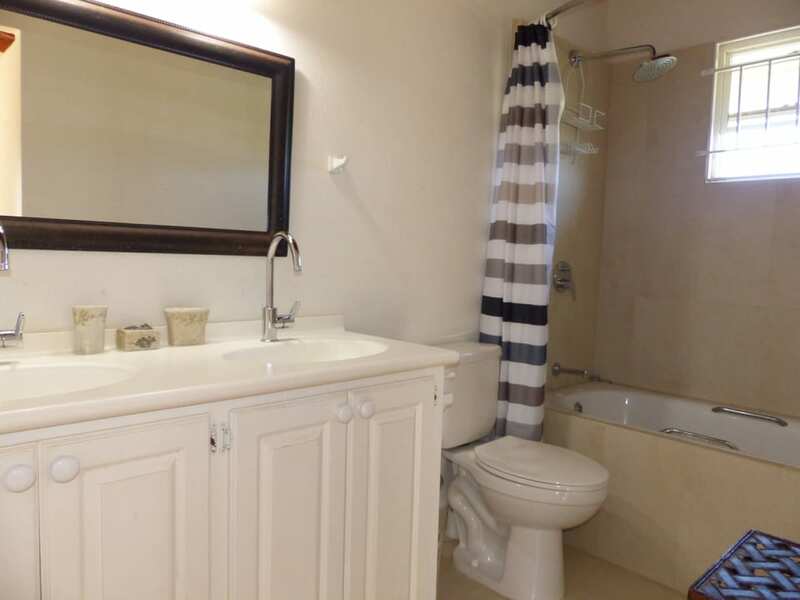 Two of the bedrooms share a large bathroom, whilst the master located at the end of the hallway has an en-suite bathroom and also offers French doors that lead onto the pool deck. 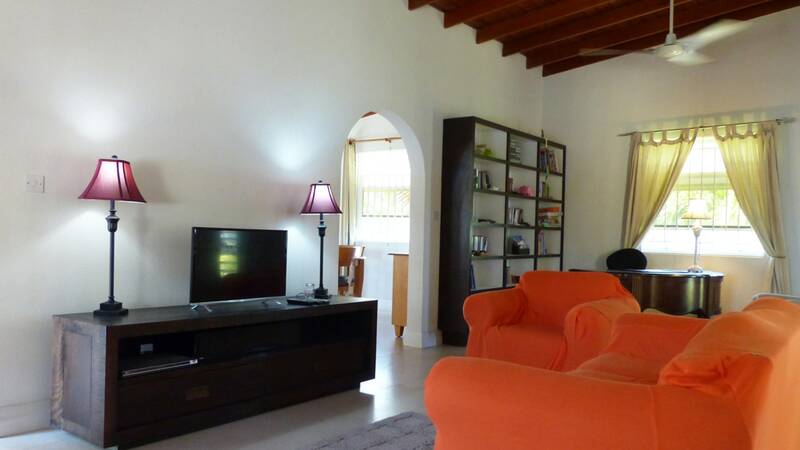 The Living room is spacious and comfortable with a small area designated to an office. 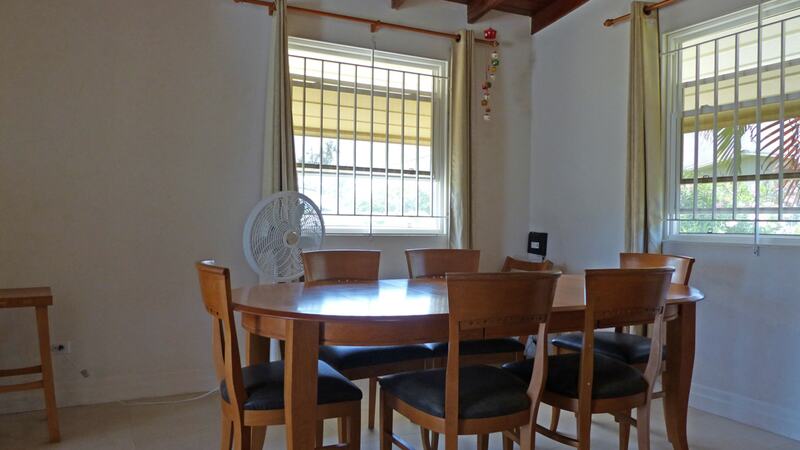 This room naturally flows into the large dining and kitchen. 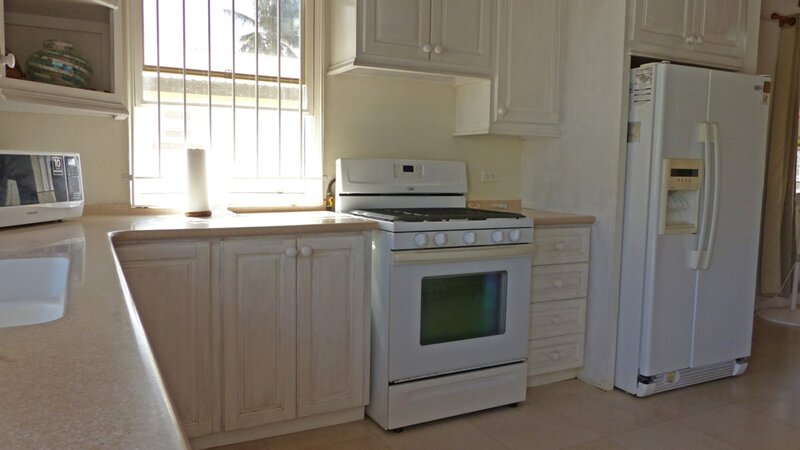 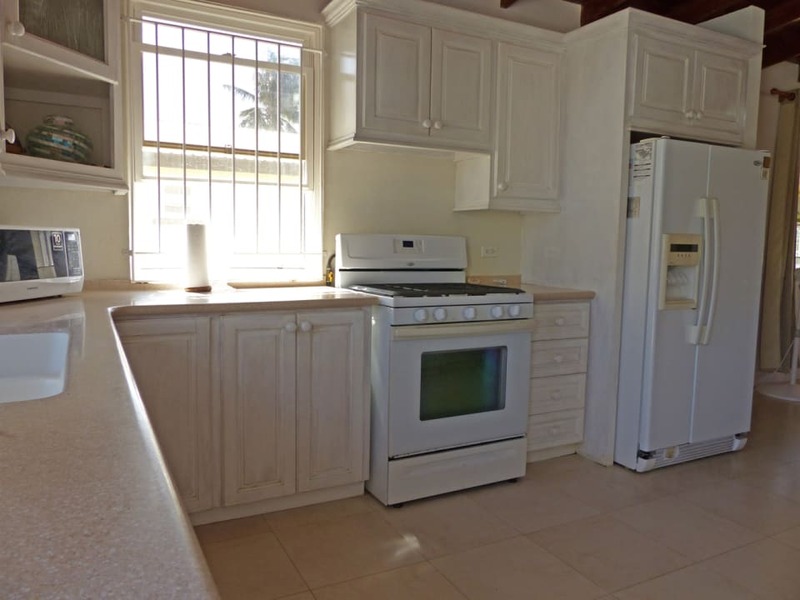 The kitchen is outfitted with wooden cabinets and solid counter tops. 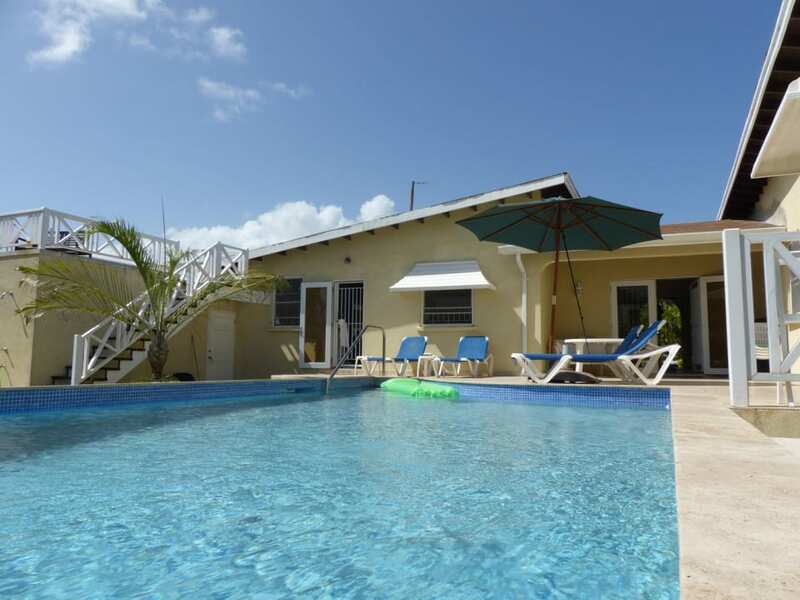 The kitchen also leads out to the pool and deck which offers various areas to relax either in the sun, enjoy a cool drink in the shade or simply go for a refreshing swim in the sizable swimming pool. 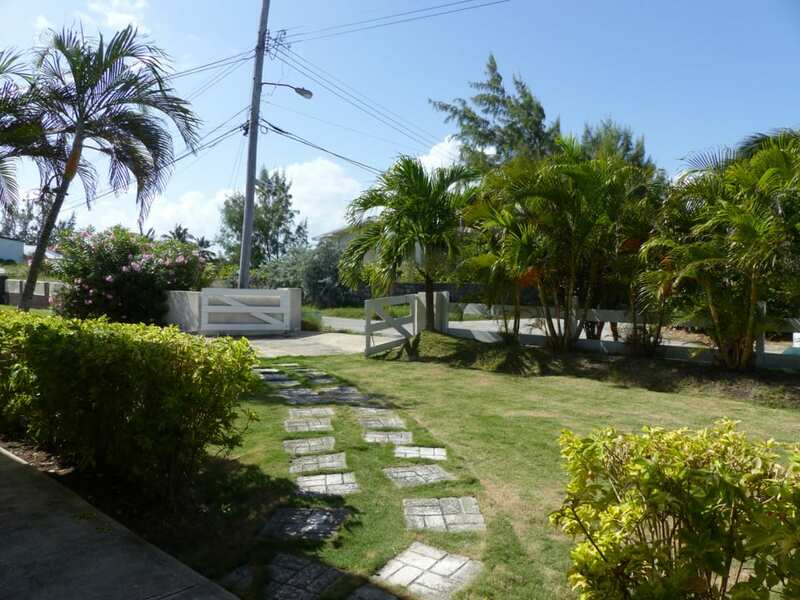 A small garden enhances this area and on an evening you can enjoy the moon deck that is just adjacent to the pool. 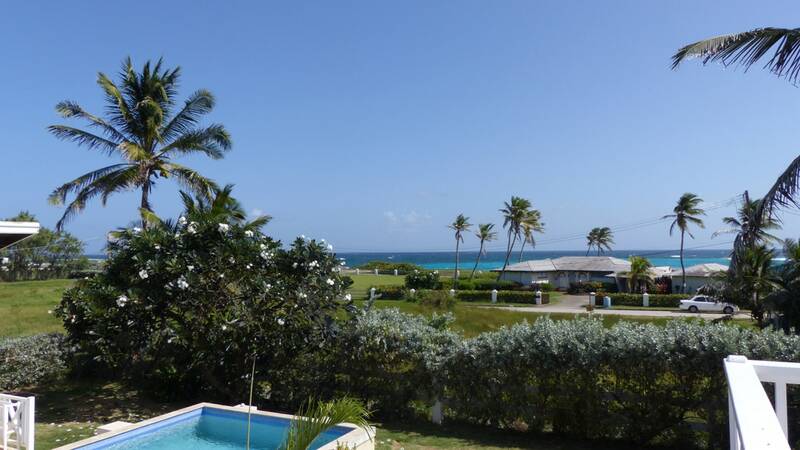 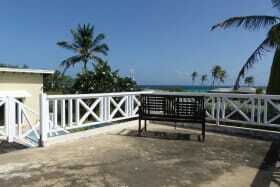 This offers views of the ocean and constant ocean breezes. 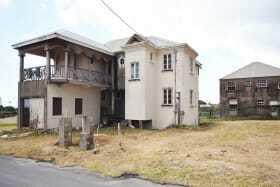 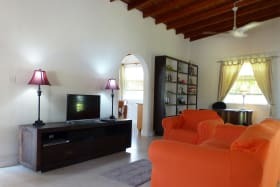 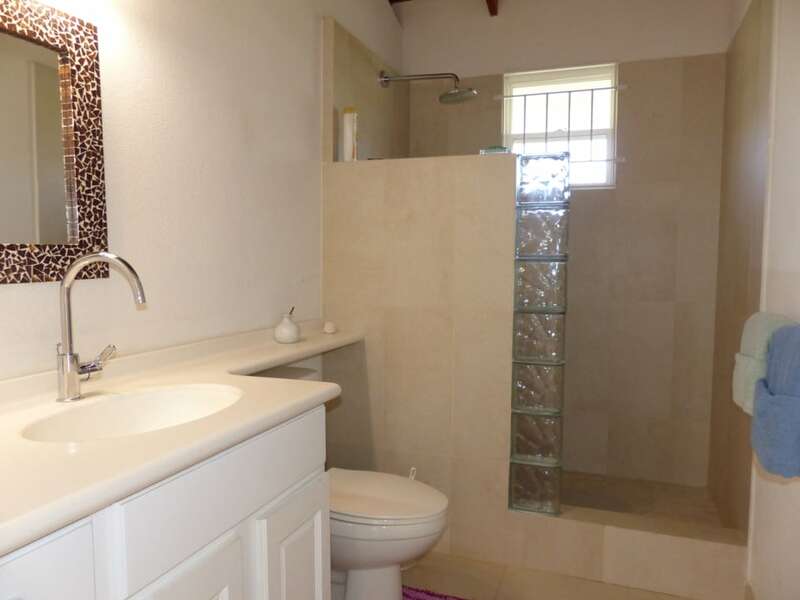 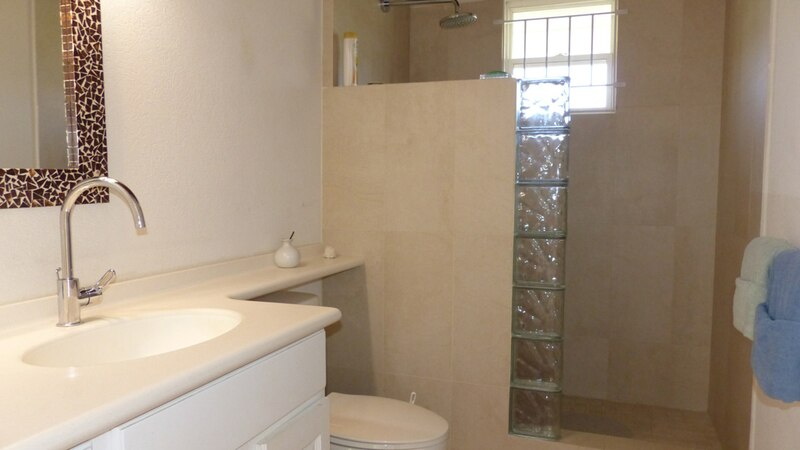 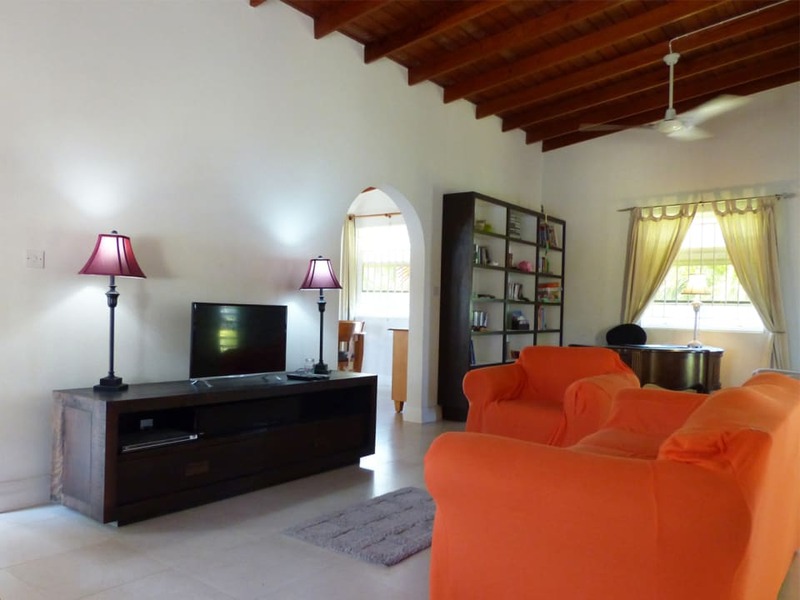 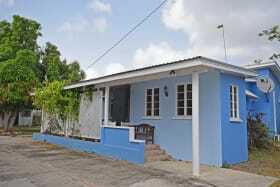 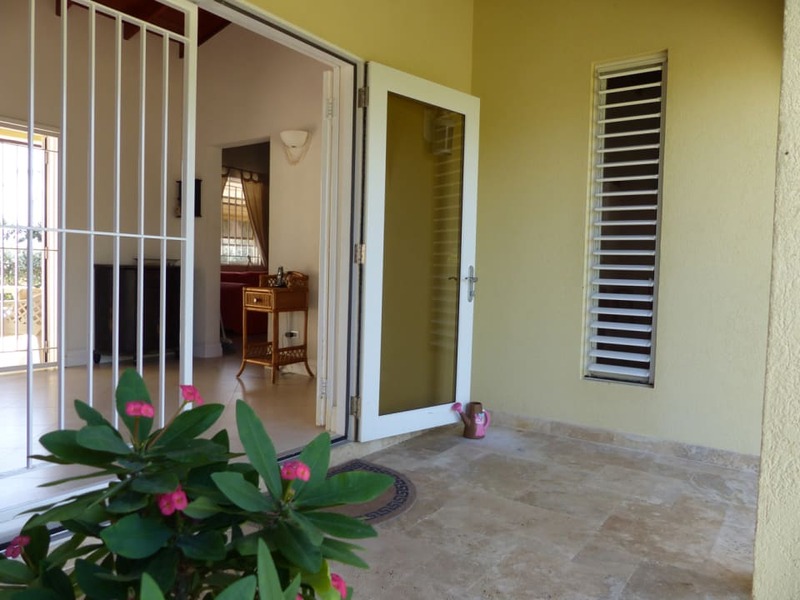 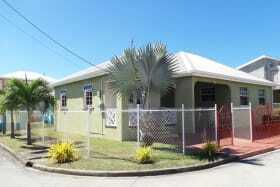 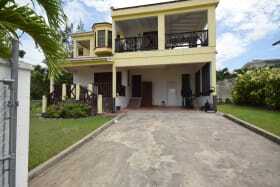 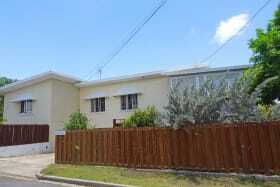 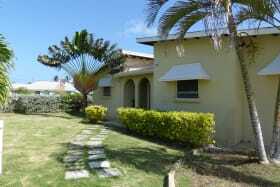 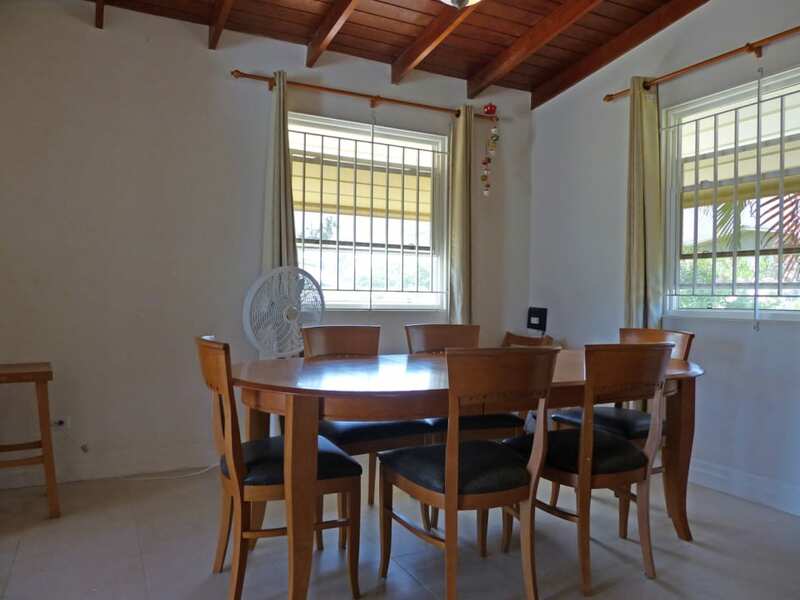 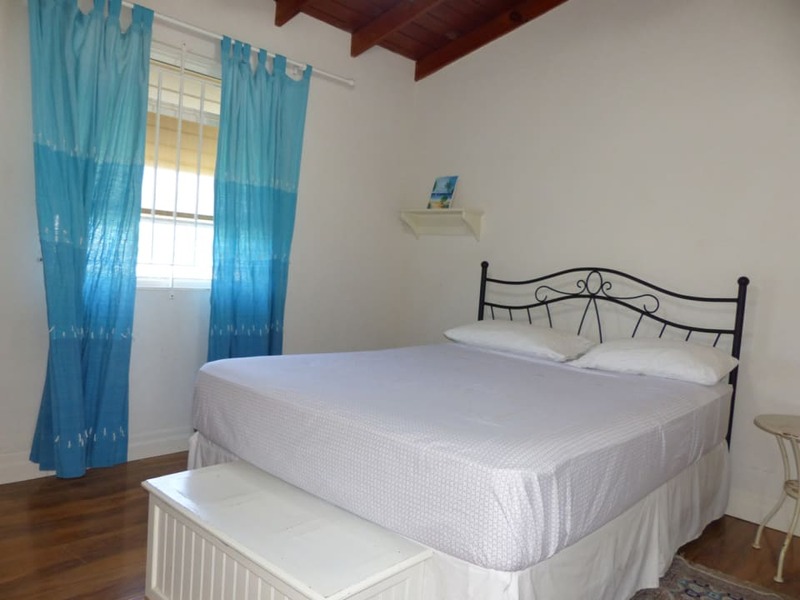 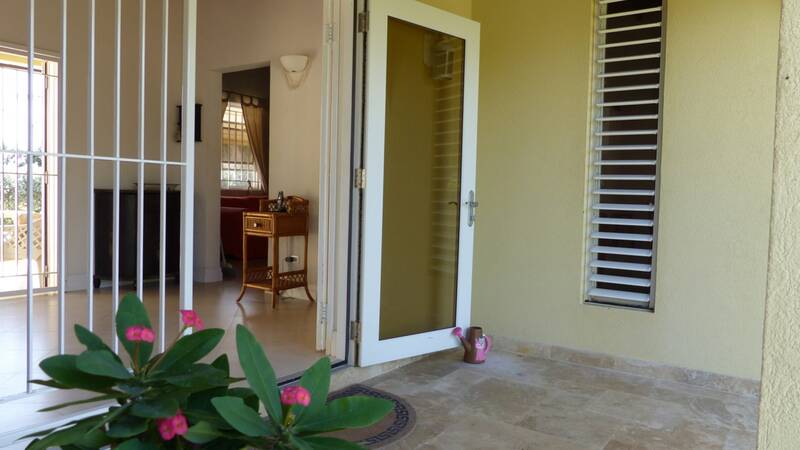 This home currently is in the short term rental market and will make an ideal investment property.